Almost one year to the day I was overlooking Wanaka lake applying for a women’s adventure film grant: “The Travel Play Live Women’s Adventure Grant is not about ‘Insta-worthy’ pictures of smiling women with perfect hair or pink washing the adventure / outdoor space” – TPL. I was submitting an idea for an all-female first peaks traverse and accompanying first rock climbing ascent in Fiordland, New Zealand. 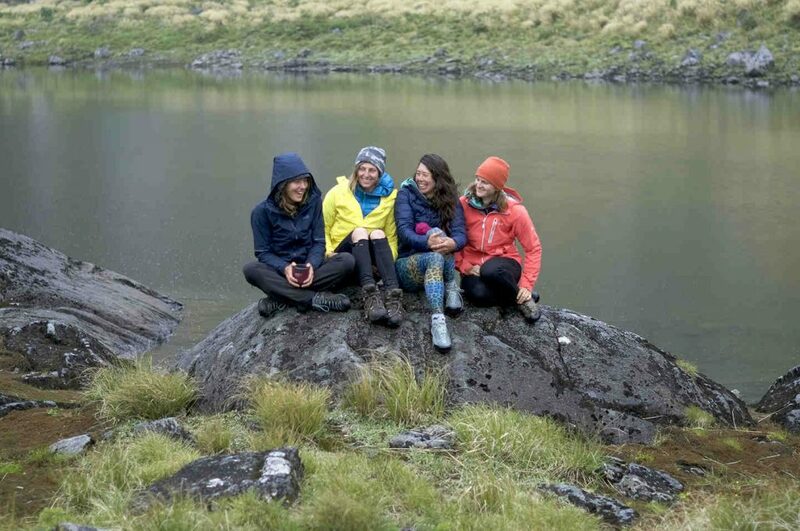 The fact that it was all-female was not really the hook, as very few people venture into this region – man or woman – but it would increase the visual presence of females following bold and exciting ideas in the outdoors. Today mens sports receive over 90% of traditional media coverage. This has crippled the gender balance in the outdoor world by skewing females perception of where they fit into it. It has created what might be considered a self fulfilling prophecy. Exposure to athletes and mentors through the media creates an environment that encourages, inspires and pushes people to achieve bigger and bolder objectives. Females need mentors they can relate to. Now one year on the same view fills my vision. A storm is rolling over the mountains and I’m wondering if in seven days Fiordland will open her gates to us. Our three peaks ridge line traverse of Terror Peak, Mount Danger and Lady of the Snows looks possible, if the weather plays nice. It rains up to 8 metres a year there. To our knowledge no one has attempted parts of the traverse due to the exposure and complicated terrain. 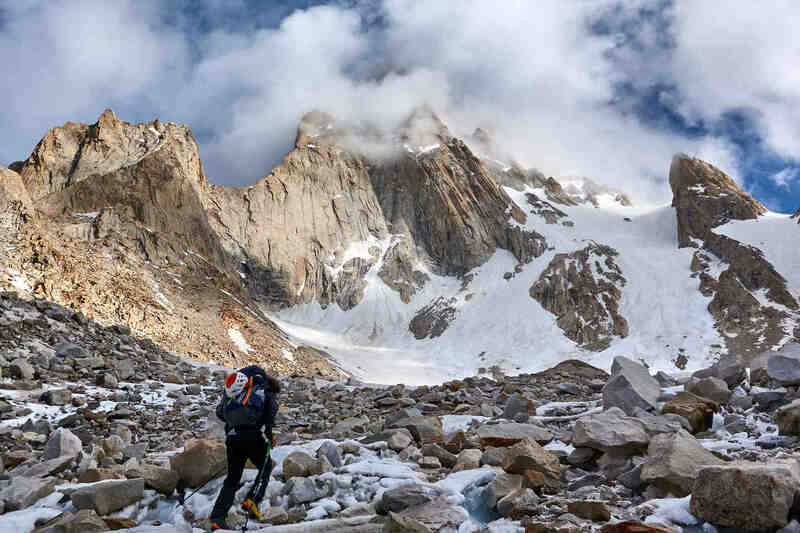 In saying, a possible first climbing ascent up a canine tooth shaped peak in between Terror and Danger, unofficially named The Tusk, is well on the cards. The only other person known to attempt it tragically fell from its precipitous features – it is unknown if he’d made it. Climbing in the mountains is a challenge. Filming in them is double that. We cannot go as light and fast as we’d like. Things take longer. Heavy packs hinder movement, ropes will probably come out more often than if we went light. Camera gear doesn’t like rivers, cold temperatures or rain. The list goes on. 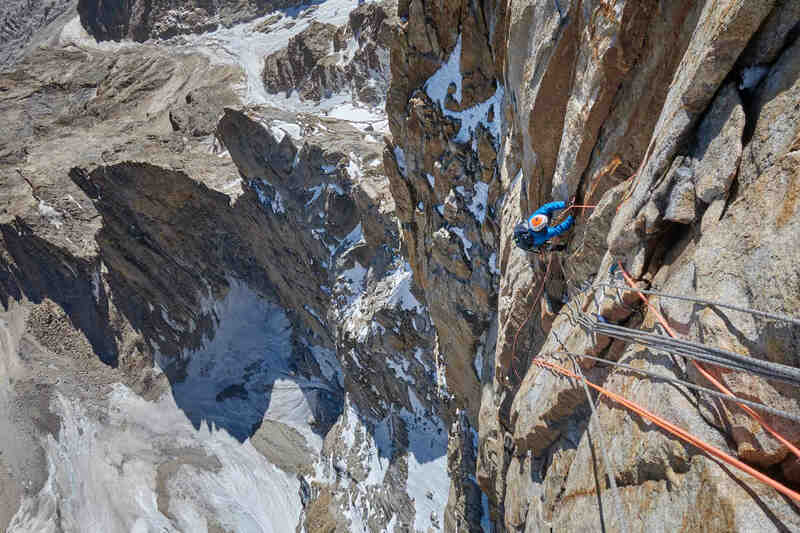 The film will hopefully be a story about four female climbers brought together by the spirit of adventure, a love of nature and the lust for climbing untouched aesthetic granite lines in rarely explored regions. United in their desire to push their limits, they dream to achieve something that can inspire the next generation of females to be explorers, adventurers, thinkers and eco-warriors – in a time when urbanisation and industry is threatening the natural environment, and humanity’s connection to it. Liz Oh AUS: Climber, scientific diver, nurse. 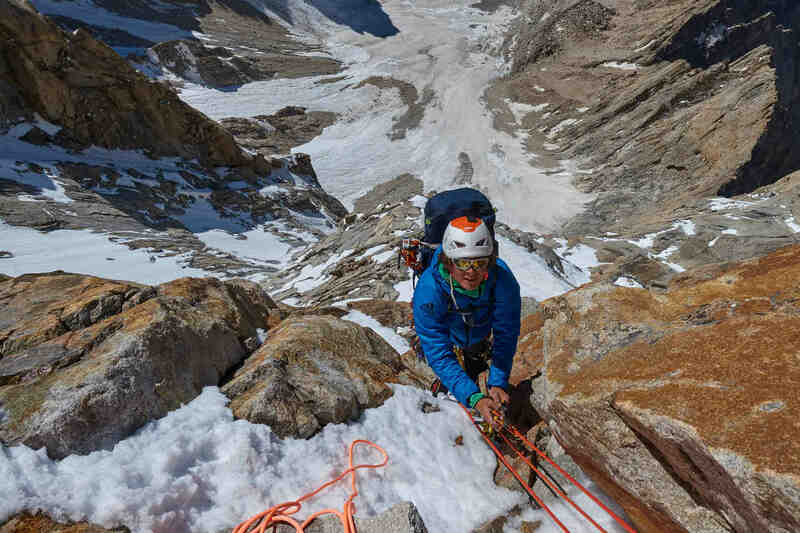 Rosie Hohnen AUS: Climber, outdoor guide, ecologist. 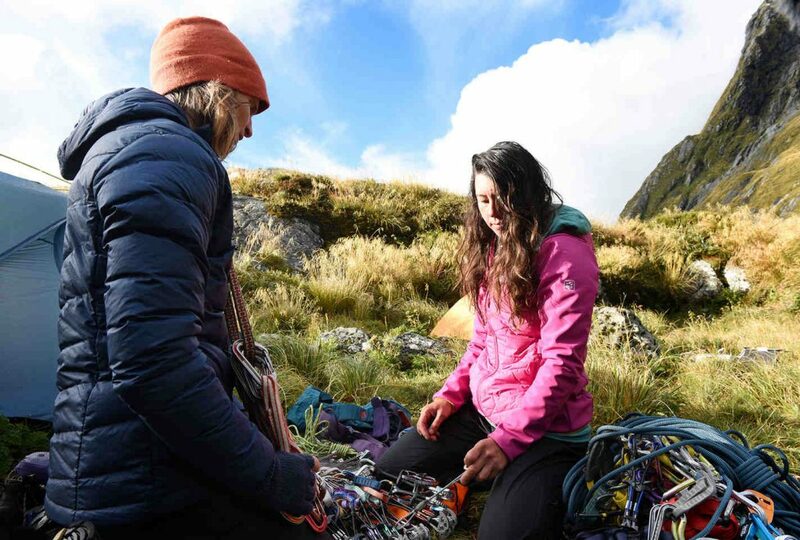 Ana Richards NZ: Climber, conservationist, explorer. Olivia Page AUS: Climber, photographer, writer. Simon Bischoff AUS: Drone pilot. I am still new to Berchtesgaden Area and after a long time following the winter around the globe I was psyched to explore the area that is offering incredible rock climbing potential. 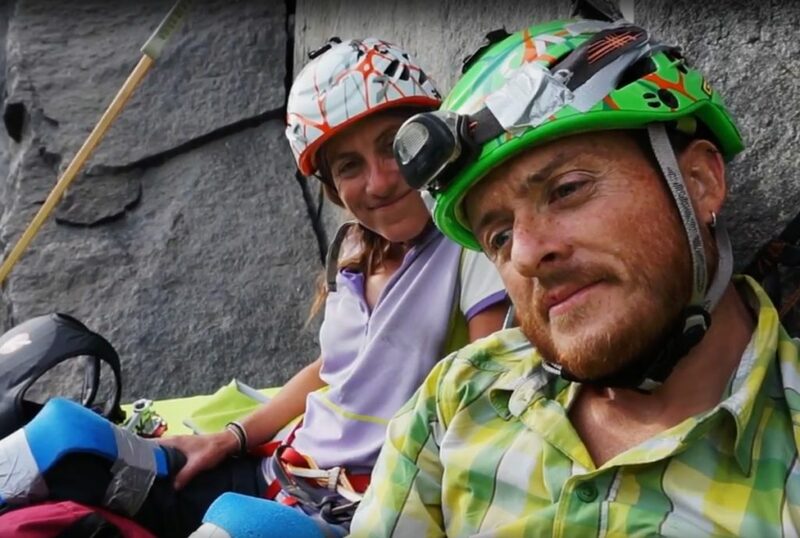 Together with my girlfriend Ines Papert, who is Living in the area for more than 20 years we spotted a good looking line on “Alpltalkopf” north face. We opened the route ground up mostly using cams and pitons with bolts being the last option. I was super happy to have Totem Cams on my harness as they are simply the best in limestone, where the cracks are often full of uneven features. We needed five days to open nine pitches of the route to the flat top. After a day cleaning it was time for a fun part with free climbing the route. I managed to grab a red-point ascent quickly but the crux boulder in the most difficult pitch was causing problems for Ines. She managed to stay psyched and patient. It was a nice experience to be a support when someone you care about the most is trying to realize something close to the limit. After a short rainy period we walked up there together again and Ines managed to send the route as well. It was a nice come back for us after a thought experience on our last expedition. Two year ago love brought me to Berchtesgaden area. I immediately noticed how proud the locals are of this truly spectacular place full of mountains and lakes with Watzmann being the highest mountain and Königssee the biggest lake. 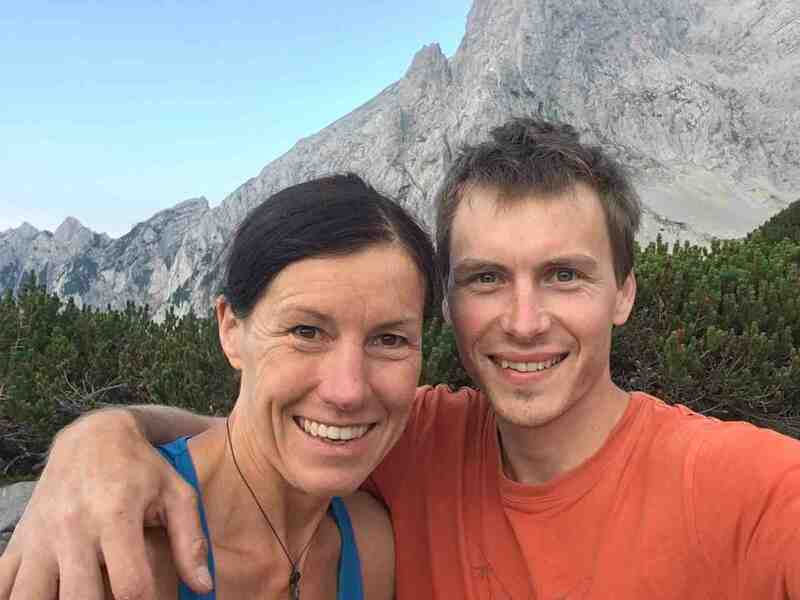 At the beginning our relationship was a bit of a target for the “sharks teeth” of some local people and after some time I started calling them Sharks of Königssee. I knew a name of the a new route we might climb one day was born. Now its there as a funny memory of our beginning. I am very grateful so many of the local climbers welcomed me so nicely and look forward to share climbing days in this magic place. 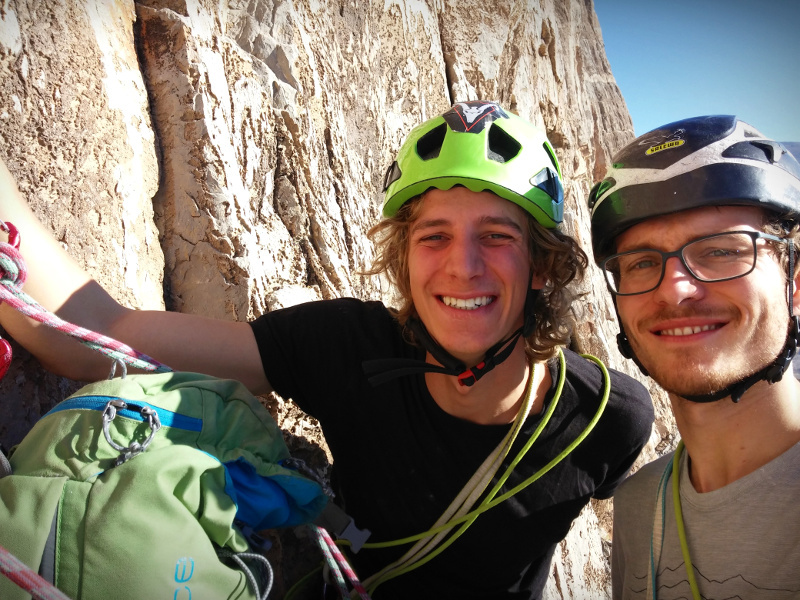 In the summer of 2018, our Totem MT team member, Fabian Buhl, went to Pakistan with the goal of exploring new rock climbing routes on the Karakoram Ridge. 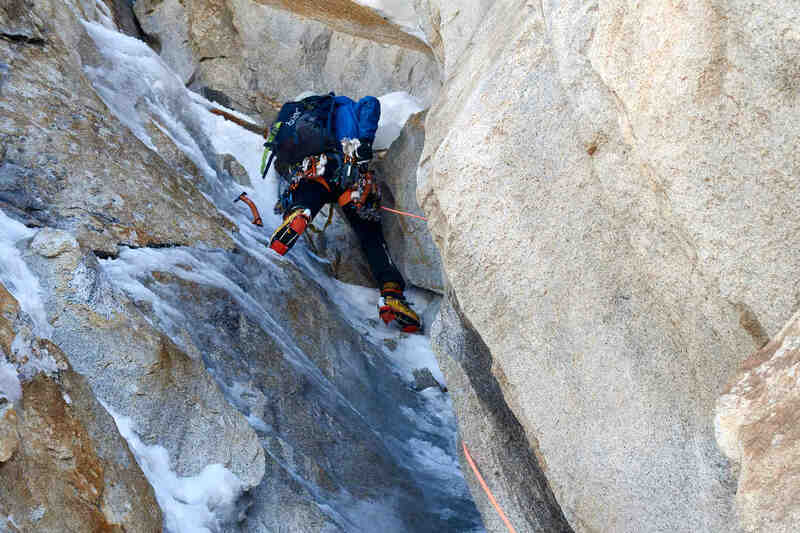 “The Big Easy” was the consequence of this trip, but this story is not only about alpinism. Fabian defines this trip like an inflexion point on his career, for sure, his words will help you to set new challenges! 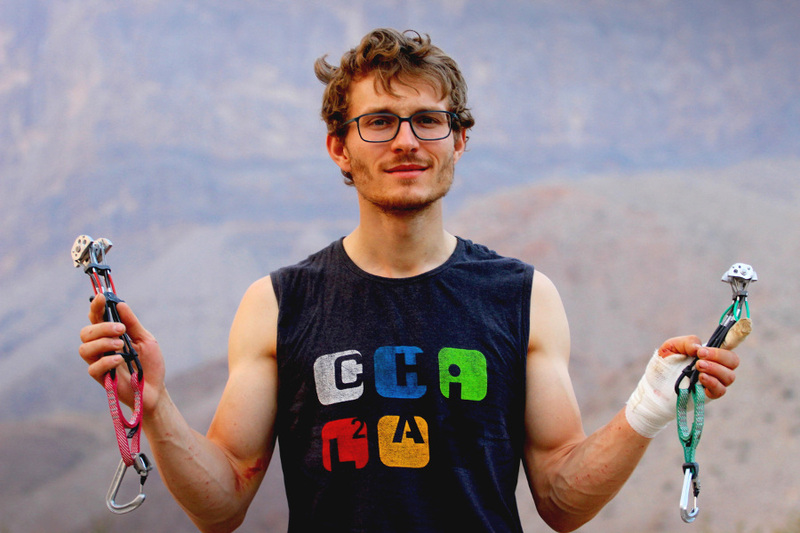 Small, complex and very difficult was my universe when my climbing career as a Boulderer started. Nonetheless the last years I have dedicated a lot of time and energy into expanding my climbing universe into unknown and larger playgrounds of more and more alpine terrain. I got totally absorbed in solo climbing and my goal for the winter and summer 2016 was trying to push the limits in this rarely played game. Like in bouldering failure did not put me down. It was only a source of energy to improve, because it showed me the weakness of my solo system. Exactly the rope handling and all the little details of the alpine trickery got me really involved, it fits perfectly to my methodical way of thinking. Personally, I experience in alpine climbing additional things that keep me motivated to expand and try to improve this for my new universe, the physical demand can fully push you into a deep and satisfying exhaustion. 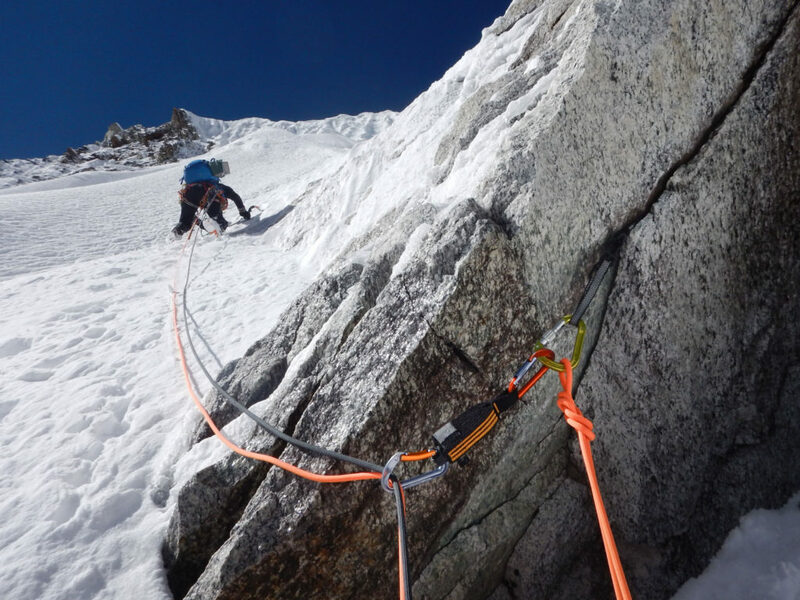 In Contradiction to our world where we try to insure ourselves against everything and everyone, in alpine climbing you are absolutely responsible for your own action and have to deal with the results of it, most of the time very soon or you will feel it to your disadvantage. This leads to the most important and most satisfying part which I found in alpine climbing, absolute trust into your climbing partner. It is the only insurance you have during these long and strenuous days spend up on the mountains. The logical consequence of my search to experience and learn more and more of the alpine world was the dream to go to the greater ranges. On one of our trips Alexander Huber and me came up with the idea to make a proper but small expedition in the summer of 2018. We just needed to define a goal, which fits both of our ideals. As we are climbers, we were searching a challenging goal which offers mostly good rock climbing. 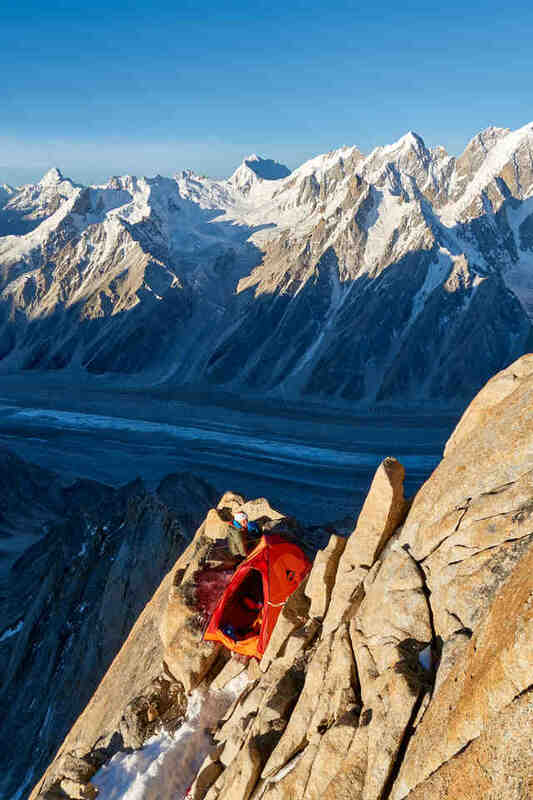 Alexander has been in Pakistan the year before and saw an amazing and elegant arete, located just above the Choktoi glacier. The arete we declared our target with a length of 2200m and shines from first to the last daylight. It is one of the most prominent and obvious lines in the Choktoi valley. In Skardu the outdoor adventure really began by driving with a classic vintage Toyota Jeep, along the spectacular gorge of the River Braldo to Askole. Quite impressed by the rough road 100m above the gorge, which is not a road to western standards, and the exceptional skills of our driver, we arrived in the beautiful village of Askole with the fading light. It is the last village up the valley, which is year round inhabited and surrounded by an incredible mountain scenery. Askole is the perfect Balti villages and shines in most picturesque nuances of green I can imagine and are in big contrast to the surrounding brownish sand and rock landscape with white majestic glaciers on top of the mountains. Early morning of the next day we started our 4 days march to basecamp. I felt a bit weird, strolling leisurely with my day bag upstream the River Braldo, while the porters overtook me with 25kg backpacks. 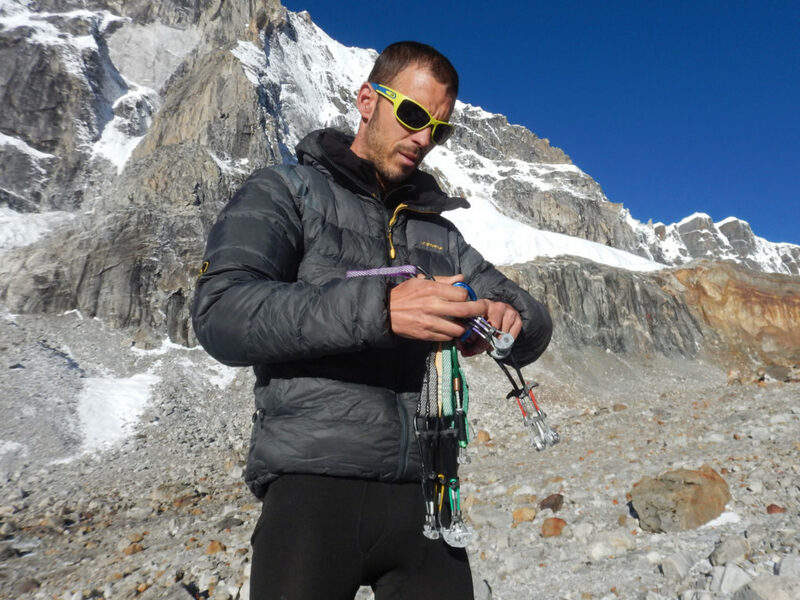 Soon I realized that already the altitude of 3500m takes it´s toll and it is better to take it easy and acclimatize proper and gradually. The next days we hiked each day for about 6-7 hours and spending the nights in one of the camps alongside the way. We gained approximately 500m of height each day. From day 3 on the march we saw our line and were fascinated by the elegance of it, it has shined all day long in the sun. After a short walk of day four we reached the place where we searched for basecamp, quickly we found a perfect place. We established our spartantic but very comfortable basecamp and it offered all we needed. Luckily the weather stayed good, so there was enough time to rest and get a better acclimatized to BC level. 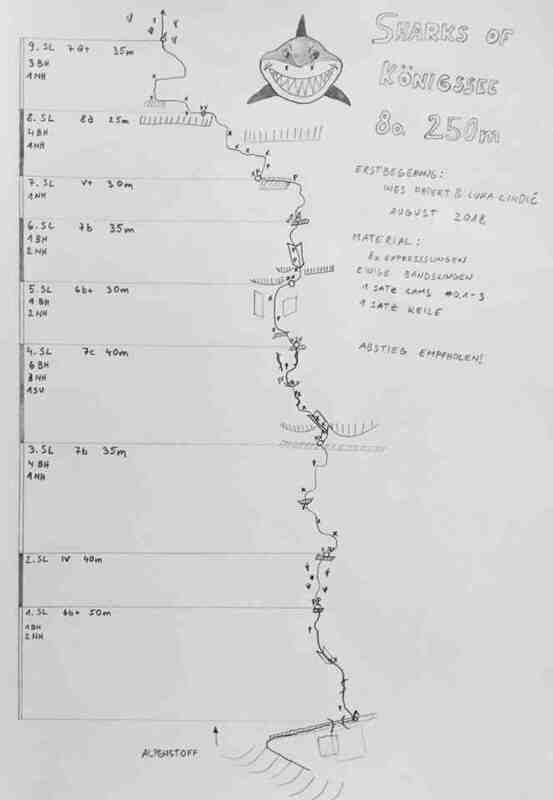 The first gear transport was as scheduled to set up ABC at 5000m. We knew that the weather will stay good for the next days we directly conducted one more material transport with the purpose of staying 2 days in ABC to get further acclimatized. Within this stay at ABC we climbed the first of the 3 big waves of our chosen line. Already after the first pitches we realized that the route will take much more commitment and energy as we thought. After the bad weather, we had fully recovered and were super keen to go up the mountain and started to work on the main part. 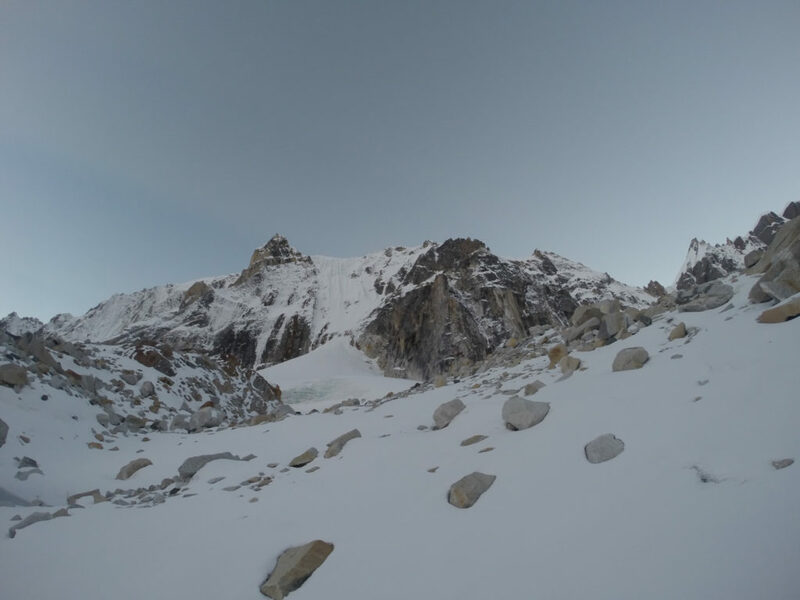 We ascended our previously fixed rope and climbed the whole middle part a quite flat arete until we established our Camp. The Camp was a jackpot, as it was the only flat spot on the entire ridge line and it is located perfectly for camping with an incredible panorama in 5500m with the Latoks and Ogres range just across. Even more excited we were about the perfect splitter cracks that we saw just above us. They are as impressive as in Yosemite and it is a gift finding this perfect rock and beautiful line in the heart of our route at 5500m. The next day, as the terrain is flatter, waking up to the sound of snow falling on our tent, we knew it will not be a walk in the park and even thought about bailing. In the end we tried it anyways, because we knew it will be essential for our summit push. It snowed all day long a little bit but as the rock was anyway snow covered and we where on quite flat but tricky terrain, it was ok. Actually I liked the little alpine weather and constantly changing from crampons to rock shoes, it was the perfect contrast to the previous Yosemite-style day. It showed us once more how complex the route will be. Arriving below the headwall, it was clear it will be the crux of the route and is way steeper as we expected it to be, totally snow covered it looked frightening. Unfortunately the weather got bad for nearly a week, we spend the days relaxing, reading and playing chess, but always being concerned about the head wall, because with this much snow and ice it will be really difficult. The good weather came and we went up the mountain again, for its final push. Arriving in camp we made a little brew and went straight to bed, because already four hours later we where having breakfast on our terrace with an incredible sunrise. What a beautiful start of the day! Soon we arrived at the headwall in order to climb the first 200m of it this day, as we expected the cracks where still totally iced up and the terrain way steeper as we imagined. As we found no other bivi spot we needed to go all the way down to camp again. Anyway we knew that if everything works out we will make our summit push tomorrow, that is why we did not really care. The next day we climbed up to our highpoint again, from here we wanted to follow a corner system. The only downside, it was totally iced up, but it still looked liked the easiest option and so I got some really nice mixed pitches, before standing on the pre summit. From the pre summit we needed to rappel to the col, which leads via long snow arete with some climbing to the main summit of Choktoi Ri. I wanted to belay Alexander directly, sitting on the summit, when I realized the summit is a big cornice. 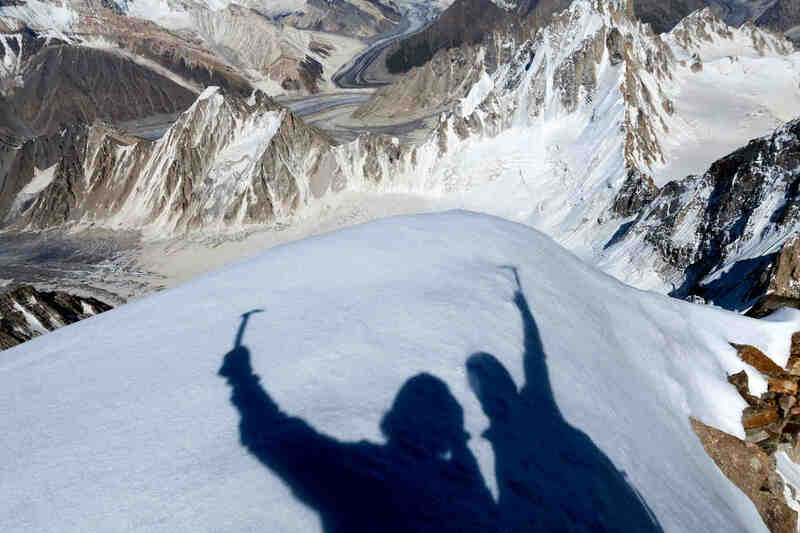 A little unsure about my stupid behavior, I went down and made belay that we both can safely go on the small main summit and have a little break and just enjoy the great view towards China and over viewing the Karakoram. As Choktoi Ri is the highest peak of the range we where really freestanding. Reflecting the line on the summit, we realized how fortunate we are, with being able to first ascent this prominent line, which took a lot of energy but the 2200m of climbing rewarded us with a great variety and always kept on giving new challenges. In the end we needed all our skills to complete “The Big Easy”. The most important is, that we have had an amazing time, with a lot of laughs and without any bad mood, in the peaceful and calm Karakoram, because we just did what we like and for what we live for. It clearly showed me the smaller the expedition the richer the experience! Eleonora ” Lola ” is a passionate climber in all season. In March 2015, while she is climbing an icefall in Val Daone, she is victim of a dreadful accident in which she loses the use of her legs. 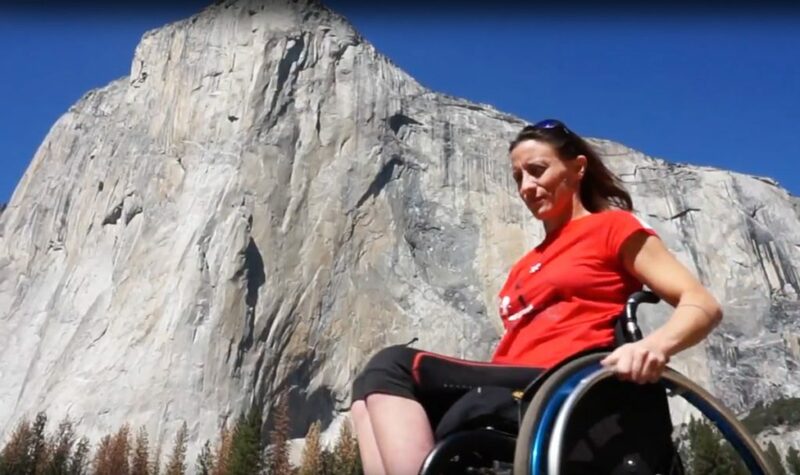 For Lola, however, the desire to resume physical activity and dive back into the climbing is overwhelming, and after a few months of rehabilitation, she accepts without hesitation the proposal of Diego Pezzoli to climb, with special equipments, a way on the mythical El Capitan wall, in Yosemite National Park. 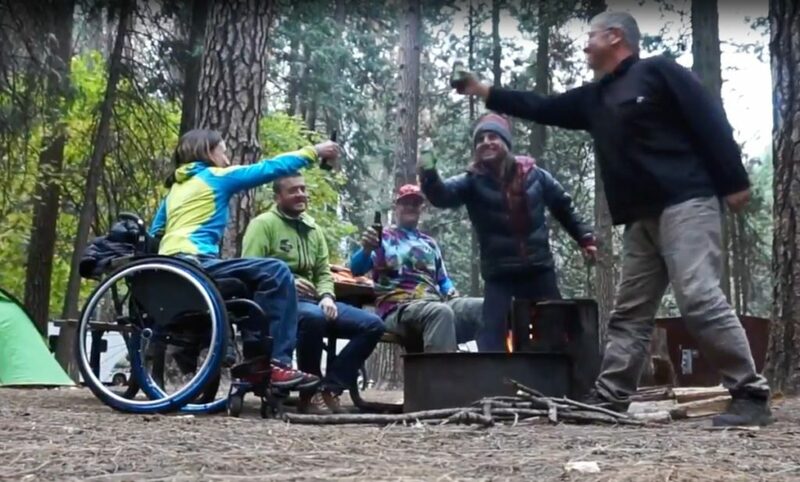 The film is a story of this experience, without wanting to be a history of the ascent, but rather a story of how she prepared and lived it, in a mix of carefree smiles, real action, nights in portal edge, hours and days together great friends. Jef Verstraeten, Wolfi Reidlinger, Phillip Pichlbauer, Gregor Staggl. After 10 days of climbing and getting used to the rock in the beautiful Sultanate of Oman, Jef, Wolfi, Phillip and I decided that it was time to go for the 1000m wall of Jebel Misht. This mountain became one of the main reasons for the trip, after watching the video by Hansjörg Auer and Much Mayr climbing ‘Fata Morgana’, a 7c line through the south face with only few bolts. In the afternoon, we arrived at our campsite and could finally gaze upon the impressive mountain face. Eagerly we pulled out the guidebook to study all the different lines that led through the wall. There it was, “Fata Morgana”. The name itself had an ominous touch to it and Jef and I were keen on trying it ourselves. Still, it was quite intimidating and therefore, we chose another route as test piece. 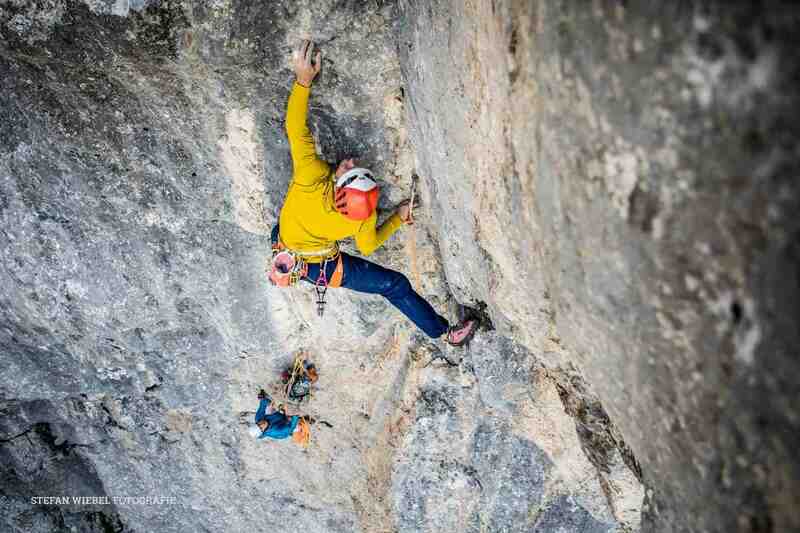 ‘Make love not war’, 7b, 25 pitches through the southeast wall. 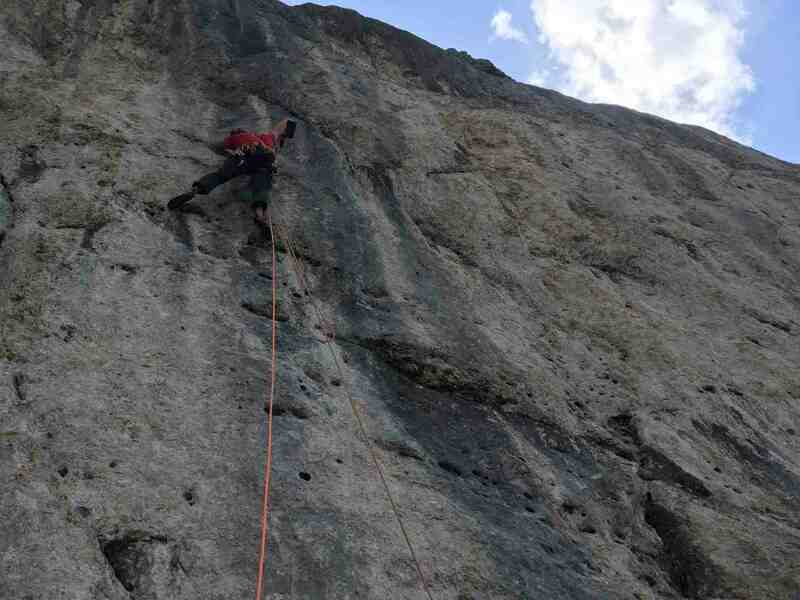 With its many hard pitches (one 7b, three 7a’s and several 6b+ to 6c), we thought it was comparable in terms of difficulty, but less serious since all the belays and hard slabs were bolted. 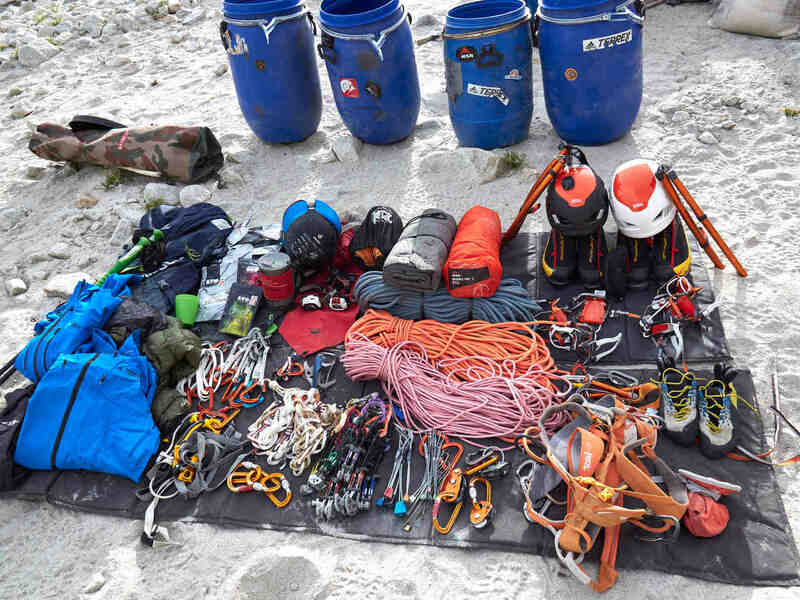 Our goal was to make a team-red-point ascent, thus we prepared for a bivvy on the ledge after pitch 15. We had to pack light with 2 liters of water each, a few Oatkings and two Snickers for the top. Regarding the gear, one set of Totem Cams complemented with some bigger and smaller sizes and some nuts had to be enough. 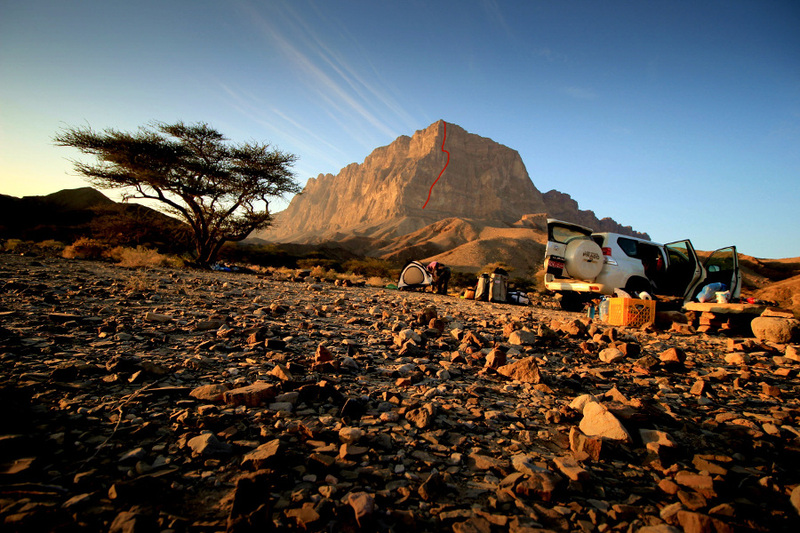 In the early hours, we set out for the silhouette of Jebel Misht and reached the mountain face short before dawn. There our paths separated. Wolfi and Phillip searched for the entry of ‘Shukran’ and Jef and I looked for the features of our line. At first daylight, we started the climb and made fast progress. Jef took care of two 7a’s and I led the 7b-pitch. Onsighting every pitch except for a 6c-slab that I had to do twice, we already reached the bivvy ledge at 2pm. 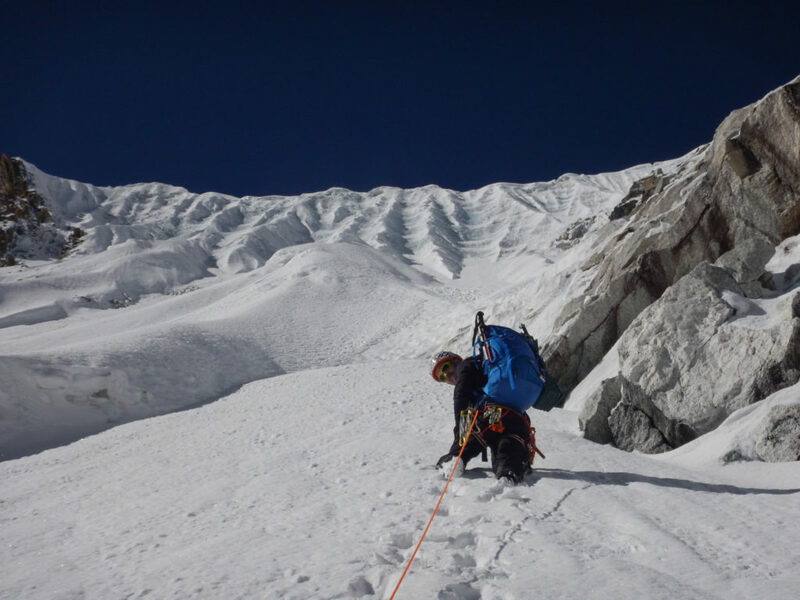 Climbing in the sun with only little water was exhausting, but at this rate, we began believing in a one-day-ascent. Finally, we reached the last hard pitch, a 7a-50m-crack. Tired and thirsty, I was glad that it was again Jef’s turn to lead. When he managed to ascend to the next anchor onsight, I joyously cleared my belay and scrambled up to give him the high-five he earned. From there it was only eight pitches to go, many 5’s and nothing harder than 6a+. In our heads, we were already on the peak and could start planning for “Fata Morgana”. It was two hours until dusk. To make the most out of the remaining daylight, we postponed the next drinking break to the next belay. Keeping the backpack, I hastily started with the next pitch, a rather short 5+. I scrambled up the chimney, placed a red Totem at 5 meters and a green one at 10. Thirsty and tired, I grabbed a flake with my right hand, doubled it and wanted to pull my weight closer to the top. Tearing out the flake, I was suddenly in mid-air. Falling and screaming, I braced myself for the impact. The fall should have been over by then, but it was not. I took a deep breath and screamed again. In an instant, I came to an abrupt halt, crashing sideways against the wall. After falling 25 meters, I found myself hanging below the anchor. The green Totem was placed badly and broke out under the impact and so I was hanging in the lower, red cam. I could tell you now that I had seen my life flashing before my eyes or that my thoughts were with my one true love, but to be honest, my first thought was that I had to reclimb that stupid pitch. Then, I took a close look at my left hand, which was bleeding heavily. There was a deep cut in my palm. Anxiously I tried moving all my fingers and was quite relieved, when everything moved as it was supposed to. Reaching the summit was now out of question. Jef had to lower me to the previous belay, where I could attach myself. After retrieving the red Totem that had held my fall, he repelled to my position and helped me treating the wound. We tried to immobilize my left thumb with the bandages and luckily, I could still use my left fingers and my right hand. Calming down a bit, we proceeded with the repelling. Jef always went first and prepared everything for me to follow. I tried to help as much as I could and in less than two hours, we reached the bottom. The sun had set half an hour before and so we were sitting in the dark, regaining some strength and eating the Snickers that we had saved for the top. It still took us two hours to reach the camp and get to our car. On the way, we could contact Wolfi and Phillip, who managed to reach the top of ‘Shukran’, and tell them that we were heading for the hospital. While they were beginning the long descent, we drove to the next bigger city called Ibri. At the end of my strength, I fell asleep during the drive and at midnight, I could finally see a doctor. With a big but superficial wound on my hip, a rope burn on my right arm, many scratches and a deep cut in my left palm, I was lucky. No broken bones, only some stitches. At half past 4 a.m., I could finally lie down in our tent. Exhausted, but alive!